The Y is open, the pools are filled, I got my swimsuit and my goggles! 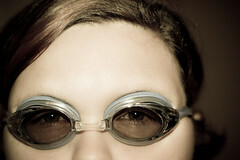 Going and getting my new suit and goggles made me realize just how much I missed swimming. The stress relief, the freedom, the exercise, the grace I feel in water. I am so excited to start again!!! !